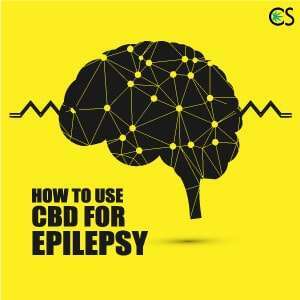 Ever since the release of Sanjay Gupta’s WEED documentary on CNN, people all over the world have been paying attention to CBD’s potential to help people with epilepsy – especially children with intractable epilepsy (epilepsy which has poorly responded to treatment). We can’t say that CBD cures epilepsy (and you shouldn’t listen to anyone who tells you that). What we can say is that CBD can potentially improve the lives of people suffering from epilepsy. CBD can reduce seizures and the negative side effects of commonly used epilepsy medications (AEDs). However it’s important to keep in mind that CBD is not a cure-all for epilepsy. There are some children who do not respond well to CBD treatment and it does not work for everybody. Side effects, although usually not a problem with CBD, are possible. Due to the severity of epilepsy, CBD should only be used under medical supervision, especially if CBD is being used on a child with epilepsy. Epilepsy is a disorder characterized by recurring seizures. A seizure is a sudden surge of electrical activity in the brain. When a seizure occurs, there is an overexcitation of neuronal activity in the brain. There are over forty different types of epilepsy and many different types of seizures. 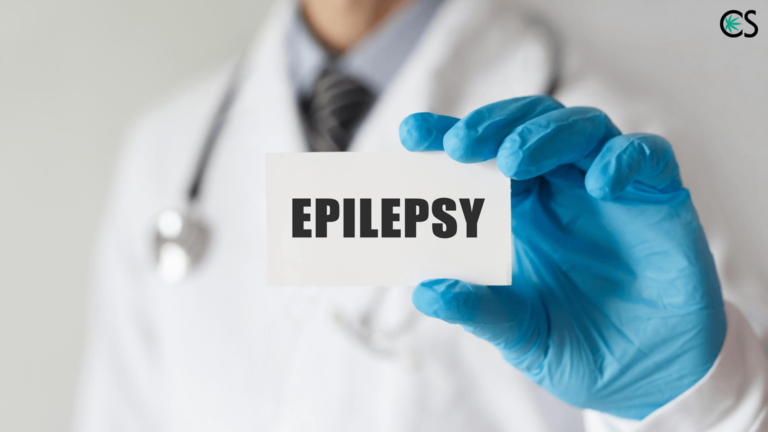 Epilepsy is typically treated with antiepileptic drugs (AEDs). AEDs are designed to stop the excitation of neuronal activity which causes seizures. While AEDs do work for some patients, many people do not respond to them and for the ones that do, the side effects can be severe and problematic. CBD and other cannbinoids like THC and THCA have been shown to successfully work as antiepileptic agents. The majority of research has been focused on CBD because CBD has the ability to stop seizures without being psychoactive. This is especially important for children as well as adults who are not comfortable with the psychoactive effects of THC. CBD works to stop seizures by helping to improve the functioning of the endocannabinoid system. The purpose of the endocannabinoid system is to maintain balance in the body. The endocannabinoid system maintains balance by regulating the activity of neurotransmitters, most importantly by sending messages to neurons to either increase or decrease their activity. Since seizures are a state of overexcitation of neurotransmitter activity, it’s thought that the endocannabnoid system plays a crucial role in decreasing the overexcitation of the neurons. A poorly functioning endocannabinoid system may be responsible for chronic seizures. In studies where scientists purposefully interfered with the normal function of the endocannabinoid system, it was found that seizure duration and frequency increased. Examinatons of surgically removed epileptic human brain tissue and cerebrospinal fluid showed decreased levels of endocannabinoids, enzymes required to make endocannaboids like 2-AG, and down-regulated cannabinoid receptors. The anti-epileptic effects of CBD are still not entirely understood. As the legal situation of cannabis continues to improve, more research will yield new answers and results. 1. CBD increases levels of our endocannabinoids by interfering with their degradation. The increased level of endocannabinoids helps our endocannabinoid system perform its function of maintaining balance in the body. 2. CBD reduces the excitability of neurons by modulating the flow of ions like calcium and potassium. Endocannabinoids are neuro-modulators and in this way, CBD mimics their activity. 3. CBD suppresses glutamate activity. This is relevant because glutamate causes neuronal excitation. 4. CBD is a potent anti-inflammatory agent. CBD reduces inflammation of the brain (neuroinflammation). Brain inflammation is thought to make seizures worse. What are the benefits of using CBD for epilepsy? Decreased use of AEDs and henceforth less side effects from AEDs. Read about how CBD School contributor Alex uses CBD to decrease his dose of valproic acid. Can using CBD for epilepsy have negative side effects? One of the best properties of CBD is that it rarely has severe side effects, even at high doses. However, this does not mean that side effects with CBD are non-existent. Patients using CBD for epilepsy should only do so under the supervision of a doctor’s care. Abnormal results on liver-function tests. Can CBD interact with my current epilepsy medication? CBD is metabolized by the same group of enzymes (cytochrome P450) which metabolize AEDs and many other medications. Drug interactions with CBD can occur and result in abnormal blood levels of AEDs. This is why we recommend for those with epilepsy to only add CBD to their medication regimen under the supervision of a doctor. Your doctor may recommend you adjust the dosage or time of day you take your AEDs. It’s best you work with a doctor who has experience working with cannabis medicine. Patients are using CBD for epilepsy in the form of vaping, sublingual tinctures, oral capsules, and oral concentrates. CBD to THC ratios which have shown to be effective are CBD dominant ratios like 20:1 and 30:1 (CBD:THC). As is typical with cannabis medicine, patients should start with a low dose and incrementally increase the dose every few weeks depending on the results. Epilepsy is a serious, life-threatening condition. CBD should be used under the supervision of a medical doctor, preferably one experienced in cannabis. We understand you may not live anywhere near a doctor who specializes in using cannabis. But that doesn’t mean you cannot do consultations over Skype with one. Reach out to Dr. Goldstein and Dr. Gedde to find out how you can schedule a Skype consultation with them. What terpenes help with reducing seizures? Terpenes are the essential oils of the cannabis plant. Terpenes which have shown to work in synergy with CBD to enhance its anticonvulsant effects are b-caryophyllene, Linalool, pinene, and limonene. Other cannabinoids like THCA (the acid form of THC) and THC itself have shown to be effective for reducing seizures as well. THCA is non-psychoactive while THC is of course psychoactive. In 1980, 16 patients with seizure disorders unresponsive to treatment were given either CBD or a placebo. Three CBD patients became seizure free, four CBD patients reported improvement. In 1985, 12 adults with seizure disorders unresponsive to treatment were given either CBD or a placebo. No benefits were reported. In 2013, Colorado neurologists presented their findings from a study using whole plant CBD oil. All 11 patients in the study reported the reduction of seizures. 73% reported a 98 – 100% reduction. After three months of treatment with the CBD oil, 45% of patients were seizure free with no significant side effects from the CBD oil. In 2014, GW Pharmaceuticals, the makers of a pure CBD extract called Epidiolex did trials in the U.S. on children with severe epilepsy. Of 123 patients, 46% reported a decrease in seizure frequency. In 2015, UCLA pediatric neurologists performed a survey on 117 parents of epileptic children using CBD-rich oil. 85% reported that seizures were decreased and 14% reported freedom from seizures. Ames, F.R., and S. Cridland. “Anticonvulsant effect of cannabidiol.” South African medical journal = Suid-Afrikaanse tydskrif vir geneeskunde 69.1 (1986): 14-14. Blair RE, Deshpande LS, DeLorenzo RJ. Cannabinoids: is there a potential treatment role in epilepsy? Expert opinion on pharmacotherapy. 2015; 16 (13): 1911 – 1914. Hussain, Shaun A., et al. “Perceived efficacy of cannabidiol-enriched cannabis extracts for treatment of pediatric epilepsy: A potential role for infantile spasms and Lennox-Gastaut syndrome.” Epilepsy & Behavior (2015). New England Journal of Medicine (05/25/17) Vol. 376, No. 21, P. 2011 Devinsky, Orrin; Cross, J. Helen; Laux, Linda; et al. Be informed about how anyone can get relief from Epilepsy & Seizures by using CBD.